Black Pepper, Blanc Poivre, Hu Jiao, Krishna, Kali Mirchi, Kosho, , Marich, Maricha, Pepe, Pepper, Pepper Plant, Pfeffer, Pimenta, Pimienta, Piper, Poivre, Poivre Noir, Poivrier, Piperine, Vellaja, pepe nero, filfil, mericahitam,meritja, pjiknoi, ladahitam. What is black pepper corn? Pepper originates from several types of a vinous plant, the spice being the fruit, called peppercorns. Black pepper is the unripe, dried berry. Whole peppercorns keep their flavour uncertainty however rapidly loses its aroma and warmth after it has been ground. Whole dark peppercorn is roast and ground with different fixings to make powders like sambhar powder, garam masala, rasam powder. Black peppercorn is broadly utilised as a part of the preparation of rasam, a thin soup eaten with ghee and rice. Whole dark peppercorns run well with curds and yoghurts. Used in raitas, marinades and plunges. Use dark peppercorns tempered with ghee in biryanis, pulaos, dals and curries. Often utilised as a part of dishes like pureed potatoes and light-shaded sauces. Eliminate bacteria from the stomach, thereby preventing bloating and gas. This spice contains healthful phytochemicals with antioxidant properties that fight unwanted free radicals in the body that contribute to protection against the formation of cancer. Good for people with excess weight, because it speeds up metabolism and burns calories. Prevents water retention in the body, so that makes us sweat. Tea pepper used with appropriate herbs is a natural remedy for a cough. Inhaling steam containing this spice is effective for quitting smoking cigarettes. Essential oil of pepper reduces pain from arthritis, increases circulation, reduces cellulite, relaxes muscles and soothes spasms and is good for acne. If you noticed that your clothes begin to lose its original colour over time ordue to frequent washing - use the pepper. In detergent for washing clothes put one teaspoon of black pepper. 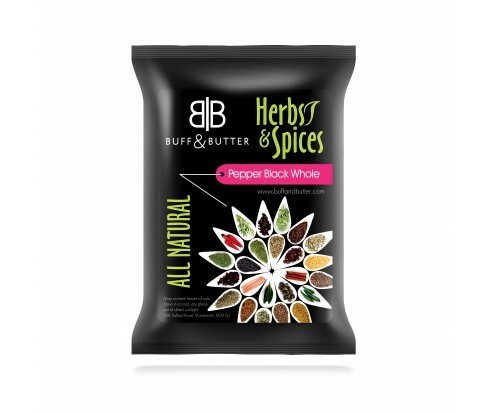 The fruits of black peppercorns are picked just before they mature and turn red. As they dry, the berries turn dark.